Florida’s seaports are set to embark on a massive round of waterfront and transit upgrades as the cargo and cruise facilities are in line for a record-setting year of funding from the Legislature. But Sunshine State port leaders caution that the proposed $111 million bump simply allows Florida to remain afloat against the tide of competition for global trade from other areas along the gulf and East coasts and in the Caribbean as the expansion of the Panama Canal approaches completion. The Legislature has upped funding in the budget for seaports to about $288 million in the coming year through money set aside for specific port projects and bonding, which could further increase the total. Among the 26 projects are the widening of the channel-turning basin at Port Canaveral; lengthening the deepwater turn-around for cargo ships at Port Everglades; replacing and repairing the pier at the Port of Fernandina; completing the cargo storage at Port Manatee; replacing 1.3 miles of on-dock rail line at the Port of Pensacola; and doubling the container yard, with the addition of cranes and equipment, at Port Panama City. 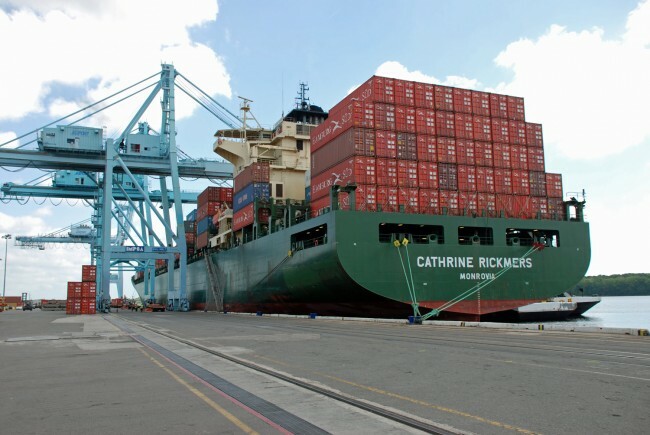 Even with the extra funding, port leaders say the opening remains narrow as Florida seeks to expand its trade with partners in Central America and South America, while working to attract more Asian traffic that has grown via the Suez Canal. Servicing the industry means being able to accommodate, through wider and deeper channels and ports, the larger passenger cruise lines and Panamax supercargo ships now being put into service. In the council’s Five Year Mission Plan, required annually by the state, the association for the state’s 15 ports says that without port projects such as the Miami “Deep Dredge,” dredging of the St. Johns River in Jacksonville, and cargo expansion at the Port of Tampa’s Port Redwing, Florida could lose out on the prospects for nearly 60,000 new jobs over the next two decades and nearly $350 million a year in state and local taxes. The funding must still be signed by Gov. Rick Scott, who also happens to be one of the biggest boosters of improving the waterfront transit hubs. “The more we grow and enhance our ports, the more Florida will flourish as a central trading destination for global commerce, which ultimately means more jobs for Florida families,” Scott said in a release Tuesday. Scott has until May 24 to sign the $74.5 billion budget. At Scott’s urging, the state has seen its seaport funding grow from $117 million in 2011 to $177 million last year. Scott has also previously floated state Department of Transportation money into the dredging at PortMiami – $75 million – and to the Jacksonville Port Authority – $36 million. The state remains hopeful that the federal government will repay the money. Wheeler along with officials from Port Manatee, JaxPort, Port Everglades, Canaveral Port Authority, Royal Caribbean Cruise Lines, PortMiami, the Lee County Port Authority and the Panama City Port Authority will join Scott next week as part of a 96-member trade mission to Santiago, Chile.